Another one from the 35mm archives today. 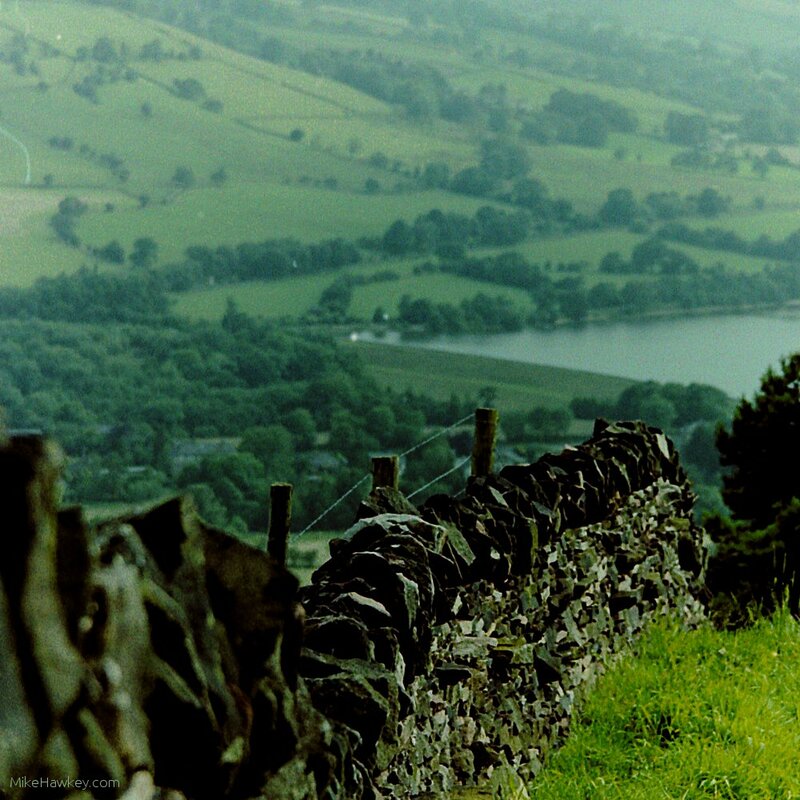 Im not sure where this was taken and only vaguely remember the outing, but am sure its of the UK countryside. Here in NZ virtually all our country fences are #8 wire. I remember being amazed of the number and lengths of old stone walls out in the country in the UK. The view, whilst not totally dissimilar, is slightly different then the rolling hills down here. After scanning, I cropped this image to square format in Gimp and did a little color balancing. I think the settings on the film scanner have gone a little haywire. As with other overseas 35mm film photos – image taken on the Minolta Dynax 700si. Im heading down country to New Plymouth this weekend, so should have some time to take fresh images. A lot of this week has been late at work, and then coming home rather then night shooting. I have also been busy working on an old Fed 1 rangefinder camera which I hope to get some shots on soon. I plan to take my Rollei 35T away this weekend with some B&W film loaded, so all going well i’ll have that developed next week also.